Navjot Singh Sidhu later told reporters that he has sought the centre's clearance for attending the ceremony in Pakistan. "I have sought information from the government," Navjot Singh Sidhu said. Punjab minister and former cricketer Navjot Singh Sidhu on Monday met officials of Pakistan High Commission regarding his proposed visit to the neighbouring country for attending the swearing-in of Imran Khan as its prime minister. 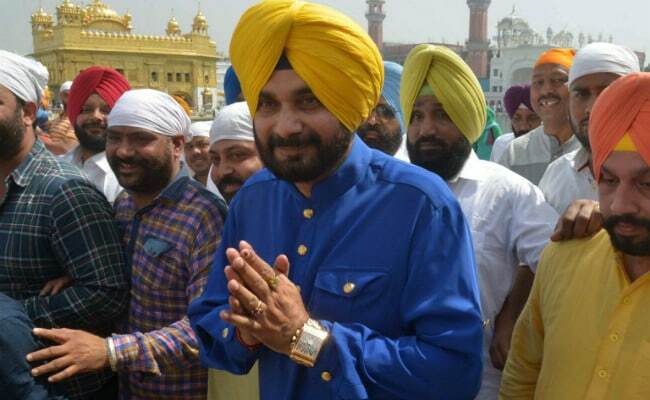 Mr Sidhu later told reporters that he has sought the centre's clearance for attending the ceremony in Pakistan. Pakistan's prime minister-elect Imran Khan had called up Mr Sidhu to extend invitation to his oath-taking ceremony in Islamabad on August 18. "I came here for some formalities... I have applied for government's permission. Everything depends on India government's permission now," he said after visiting the Pakistan High Commission in New Delhi. Mr Sidhu has informed the Home Ministry and Punjab Chief Minister's office on his intention to attend the swearing-in ceremony. Pakistan Tehreek-e-Insaaf party has said Mr Khan's oath-taking ceremony would take place at the President House in Islamabad.